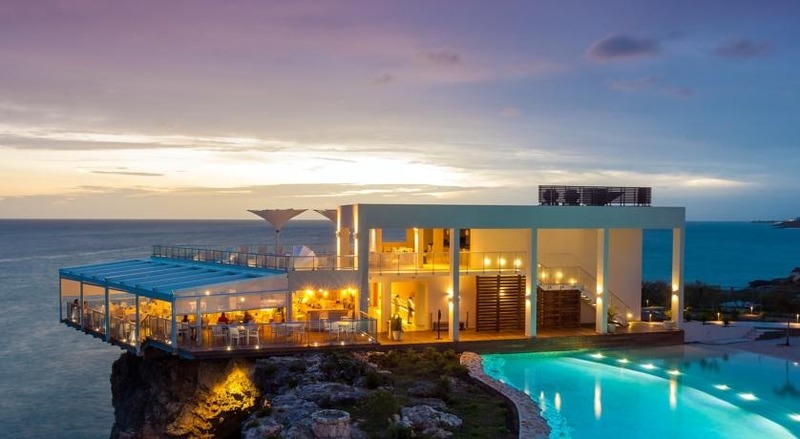 Azul Restaurant and the Edge Pool are located on a cliff and provide scenic views. This resort reopened on December 15, 2018 following a complete renovation after Hurricane Irma. All exclusive Sonesta Ocean Point facilities will be available for guests including three restaurants, four bars and three pools. Please note that the completion of the new lobby is still in progress and is scheduled to be finished by January 20, 2019. 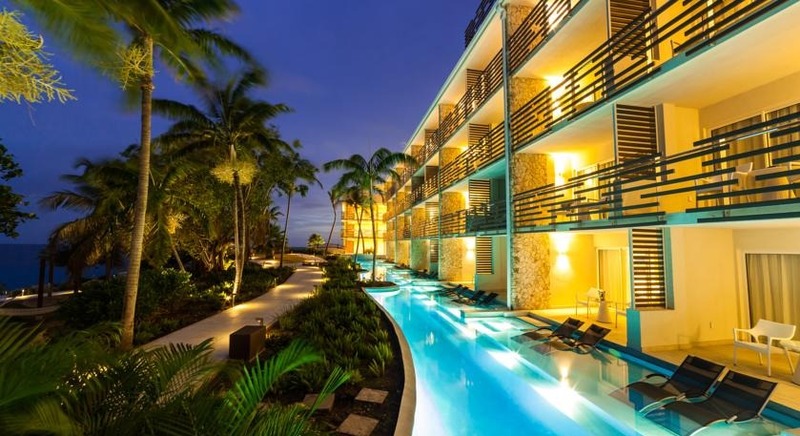 Sonesta Ocean Point Resort is an all-inclusive “resort within a resort” concept located on the same property as Sonesta Maho Beach Resort in St. Maarten. This luxury, adults-only resort features three pools, three bars, the modern Mediterranean Azul restaurant, and 24-hour room service. All suites at Sonesta Ocean Point Resort are ocean view, and include custom furniture, 400-thread count bedding, mini-fridges with premium liquor, espresso machines, rain shower heads, private balconies or patios, and designer toiletries. Swim-out suites are available for direct access to a lagoon pool that meanders around the resort. In addition to the exclusive Azul Restaurant, guests of Sonesta Ocean Point have use of five restaurants at the adjacent Sonesta Maho Beach Resort & Casino. Sonesta Ocean Point Resort has two pools exclusive to guests, including an infinity pool surrounded by a private cliffside beach. As part of the renovations in 2018, the resort added Casa Blue, a Spanish-style tapas restaurant located on the rooftop terrace above Azul Restaurant. The convention center, casino and Maho Village promenade have all been updated with modern design as well. Fly into Princess Juliana International Airport (SXM), in Saint Maarten. Sonesta Ocean Point Resort is located about five minutes from the airport. Visit Sonesta Ocean Point Resort’s website for more information.